Tommy Lee Jones has signed up to star and direct Cormac McCarthy’s “The Sunset Limited”, which will also star Samuel L. Jackson, for HBO from a script adapted by McCarthy himself. Hollywood seems to be riding the Cormac McCarthy love train as of late with “No Country for Old Men”, “The Road”, and two other films based off of Comac McCarthy novels in the works. To find out which two adaptations those are and to know more about “The Sunset Limited” hit the jump. 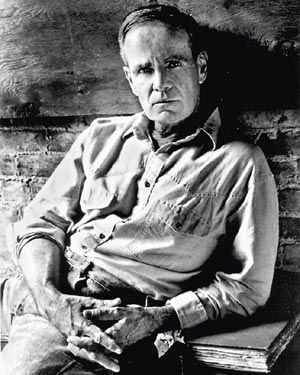 Cormac McCarthy’s play “The Sunset Limited” opened in 2006 at Chicago’s Steppenwolf Theatre and moved off-Broadway later that year. Here is an excerpt from Variety’s report which describes the plot: “Jackson plays a man who saves another man (Jones) from throwing himself in front of a Harlem subway. The act begins an exchange of ideologies as two men from different backgrounds debate the worth of their lives.” Hm. It sounds deep. That’s all I got for now since I’m regretfully not too familiar with the source material or McCarthy’s written work. I’ve heard and read that he’s an amazing writer and reading some of his work (especially “The Road” before it hits theaters) is on my “to do” list. Variety’s report does not mention if this will either be an HBO miniseries, a film to be aired on HBO, or a theatrical film to be produced by HBO. I don’t know which one we will see but I’m sure that whatever we will see will be great since HBO has become synonymous with high quality. If this ends up being a miniseries or an HBO film then I’m writing I’m doing my Emmy predictions right now. I’m predicting it will win, um, everything. I’m also happy to see Tommy Lee Jones return to directing since 2005’s excellent “The Three Burials of Melquiades Estrada”. What I find most interesting about this news is not this news itself but this odd mention in Variety’s report: “Jones also adapted the McCarthy novel “Blood Meridian” as a feature script. ” I find this is odd because last time we heard writer-director Todd Field (“Little Children”, “In the Bedroom”) was attached to write and direct an adaptation of the famed novel. I’m going to take a guess and say that Jones is just one of the many writers who has tried to bring the novel to the screen and that Field is still the latest person who will make an attempt at it. If you guys remember Ridley Scott was also at one point set to direct the film meanwhile writer William Monahan (“The Departed”) was also set to write the film at one point. The other Cormac McCarthy film which we can expect in the next couple of years is Andrew Dominik’s (“The Assassination of Jesse James by the Coward Robert Ford”) adaptation of “Cities of the Plain”. That novel is McCarthy’s 3rd part of his “Border Trilogy” and continues to tell the story of John Grady Cole as he lives his life in a ranch in post WW2 Texas. I don’t know much about this project or the novel that it is based off of but all you need to tell me is that Andrew Dominik is directing it and I am sold. Tommy Lee Jones is still set to star, write, and direct an adaptation of the the Ernest Hemingway novel “Islands in the Stream.”. Meanwhile, the film adaptation for Cormac McCarthy’s “The Road” opens October 16th.